It is clear throughout history that the Jewish people have contributed so much to the world. And I believe that the best is yet to come. There is still so much more that we can contribute to make the world a better place. With the rise of radical Islamic forces and the reemergence of the garden variety European antisemitism on one hand and Jewish disinterest and assimlation on that other hand, it is scary to think that we might disappear. We might be killed by those who hate us or we might forget what it means to love ourselves. I think being a German Jew, as I am, I am proud of the many aspects of my identities. As Jews, we were always in the avant-garde of Jewish expression in Germany. Being German, we are associated with the brand standard of antisemitism. I think we are in a league of our own in terms of loving to hate ourselves. I was thinking about this recently when our 8-year-old son Yishama asked us a question. He said, ” Is Dr. Seuss anti- symmetric? [He] struggled to remain hopeful inspite of the “dissemination of stupidity” he saw all around him. Above all, Dr. Seuss and his work were intrinsically political. 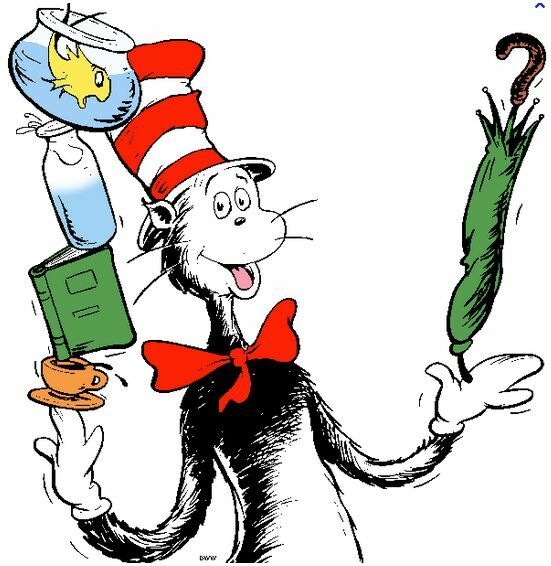 A self-proclaimed master of “logical insanity,” the author of such fanciful tales as Green Eggs and Ham and The Cat in the Hat devoted much of his considerable talent and influence to advocating political and social change. From condemning isolationism and attacking anti-Semitism to his later works for literacy, the environment, and against the arms race, Dr. Seuss’s most popular works reflect his passion for fairness, democracy and tolerance. So it seems that Dr. Seuss was not antisemitic. But what do I do with the fact that our 8-year-old thinks it is as normative as Dr. Seuss to hate the Jews. To confront antisemitism we will need to understand the the source of their hatred. Anything short of this would not create a lasting solution or worse it would deny them their humanity. How can we get to the bottom of that this without losing our own love for ourselves? I ask this as a German Jew who just loves symmetry.